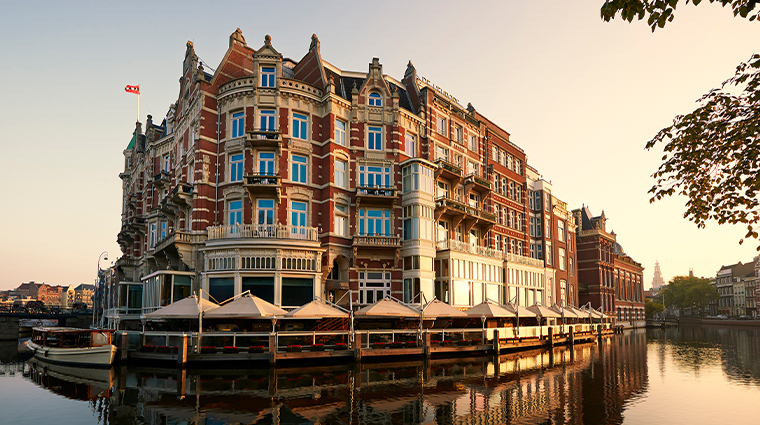 Situated in the heart of the Netherlands’ capital and overlooking the Amstel River, De L’Europe Amsterdam has been a favorite of the city’s elite since first opening its doors in 1896. Here, Old World charm embraces contemporary, luxury design. 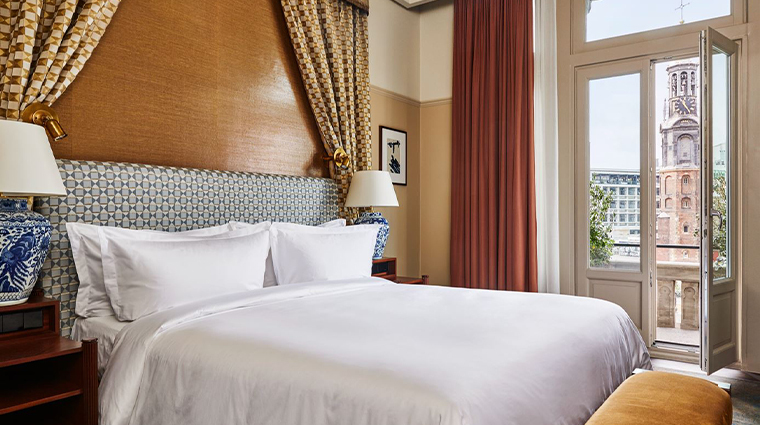 Stay in the old 19th-century Rondeel Building, which features state-of-the-art rooms with a classic design. 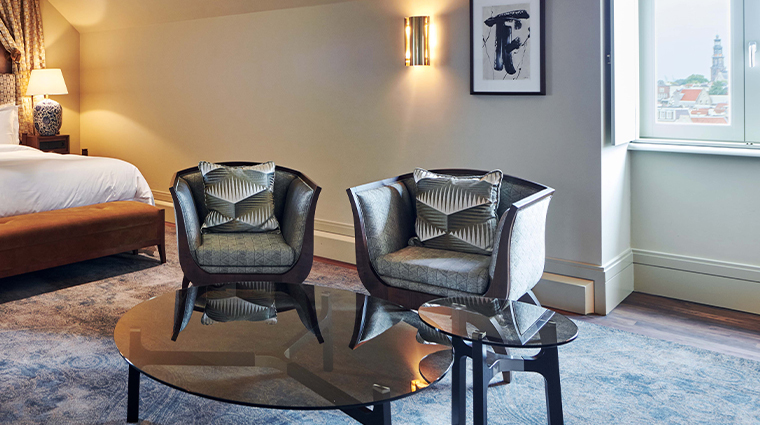 Or opt for a suite in the Dutch Masters Wing, which was added to the hotel in 2011. This wing, named after the famous artists of the Dutch Golden Age of painting, contains 23 modern suites and its own private entrance. Besides a rich history, this Amsterdam landmark also offers a superb concierge service, a top-notch restaurant and a 4,300-square-foot spa and wellness center with an indoor pool. Enjoy an authentic London afternoon tea at Promenade. This grandiose passageway is reminiscent of an art gallery, showcasing large replicas of paintings of the Dutch Masters. The Museum Quarter is within walking distance of De L’Europe. The luxury hotel offers fast lane tickets for most of the galleries in Amsterdam, as well as exclusive packages with VIP entrance to the Rijksmuseum, Van Gogh Museum and the Stedelijk Museum. 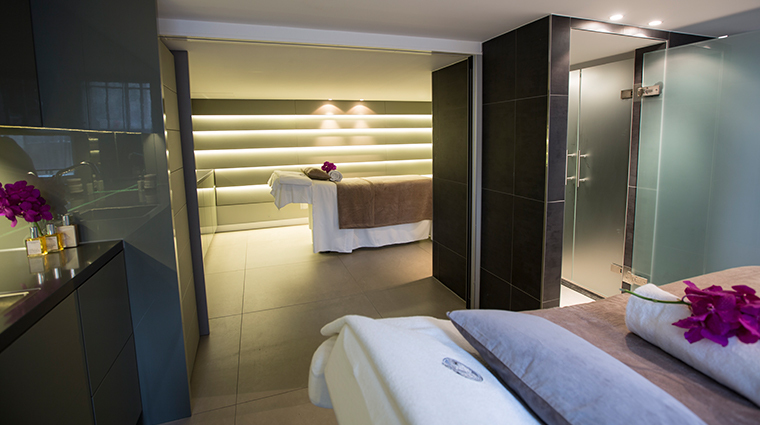 Rejuvenate at Le Spa by Skins Institute, which provides a fitness studio fitted with the latest gym equipment, an indoor pool with spectacular views of the Amsterdam canals, a Turkish steam bath, a traditional Finnish sauna and four treatment rooms where you can have a large range of bespoke beauty treatments. In exclusive partnership with the Rijksmuseum, replicas of iconic paintings from the Dutch Masters, including Rembrandt and Frans Hals, were made. These can be admired throughout the Amsterdam hotel, including in all accommodations. De L’Europe is in the center of the city, a 15-minute walk from Amsterdam Central Station and a 25-minute drive from Amsterdam Airport Schiphol. Not all rooms boast views of the historical city center and canals. Some look out over the charming interior courtyard. If you wish to dine in the hotel’s celebrated restaurant, Bord’Eau, we advise you book a table well in advance. The historical Rondeel Building houses 88 classic accommodations, while the newer Dutch Masters Wing maintains 23 contemporary suites. All rooms and suites come with the latest technology, such as an Apple TV, Bose surround sound systems and free high-speed internet access. 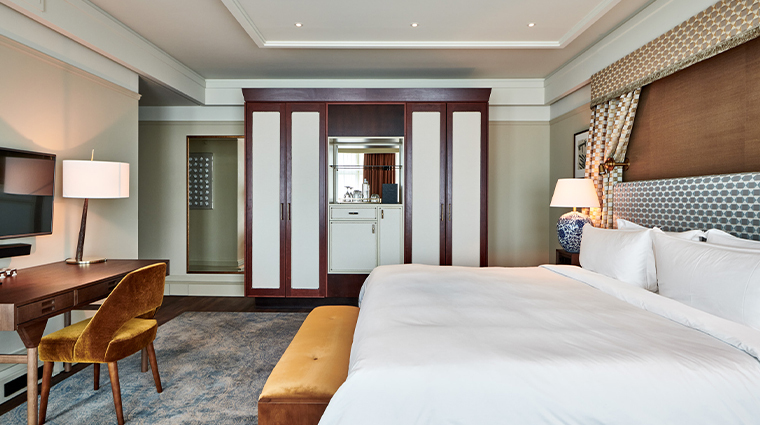 For ultimate luxury, consider booking one of the signature suites, such as the Provocateur Suite, which features a circular bed with a ceiling of twinkling lights, echoing Vincent van Gogh’s The Starry Night. The Penthouse Suite supplies six bedrooms, a private riverside terrace and an oversized marble bathtub with a separate rain shower. Experience fine dining in Bord’Eau, De L’Europe’s critically acclaimed restaurant overseen by chef Bas van Kranen. Offering an Old World vibe with wood-paneled walls and leather chairs, Hoofdstad Brasserie serves up mouth-watering, modern European and international dishes. This all-day-dining venue is helmed by chef Sebastian Baquero Garces. Named after famous Dutch brewer Freddy Heineken, Freddy’s Bar is an Amsterdam staple known for its top-notch bloody mary. From April to October, savor superb seasonal cuisine at Hèt Terras, one of Amsterdam’s finest terraces and summer hot spots, sitting directly on the banks of the Amstel River.